2015 YEAR IN REVIEW - Fanning Harper Martinson Brandt & Kutchin, P.C. - Fanning Harper Martinson Brandt & Kutchin, P.C. Happy Holidays from your friends at FHMBK! We are very thankful for the many blessings we have received this past year and we look forward to many more in the coming year. We are also pleased to provide you with our Year In Review newsletter highlighting information from 2015 we hope will be beneficial to you in the coming year. Please click the hyperlinks for significant decisions in 2015: Local Government, Constitutional and Civil Rights Law, Products Liability, Employment Law, Special Education Law, School Law, Automobile and Trucking Litigation, Premises Liability, Land Use, Zoning, and Regulatory Taking, Homeowners Association Law, and Insurance Law. Please call us with your questions or comments. DON MARTINSON and JENNIFER KELLEY obtained a victory in a health care liability lawsuit before the Supreme Court of Texas in a case involving the Texas Medical Liability Act. At issue before the supreme court was whether a health care employee’s workplace injury claim constituted a health care liability claim, thereby invoking the expert report requirements of the Texas Medical Liability Act. After briefing on the merits, the Texas Supreme Court denied the petition for review filed in the supreme court by the opposing party. THOMAS P. BRANDT and FRANCISCO J. VALENZUELA obtained a victory for a North Texas city before the Fifth Court of Appeals in Dallas, Texas. The court of appeals affirmed the lower court’s granting of a plea to the jurisdiction in the city’s favor. The court ruled that there was no waiver of governmental immunity concerning the plaintiff’s negligent representation and fraudulent inducement claims based on the assessment and collection of taxes. The court held in favor of the city on the plaintiff’s declaratory judgment and breach of contract claims because the plaintiff failed to challenge independent grounds raised by the city as to why jurisdiction did not exist. On the plaintiff’s promissory estoppel claim, the court noted that, though the plaintiff mentioned that he had raised such a claim, he failed to provide legal briefing on it and also failed to explain why the city’s immunity was waived for such a claim. The court affirmed the granting of the city’s plea to the jurisdiction. 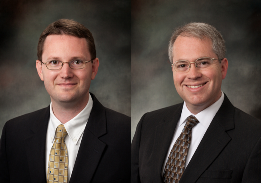 THOMAS P. BRANDT, JOSHUA SKINNER and DAVID UPHAM filed an amici brief on the United States Court of Appeals for the Second Circuit in a case out of Connecticut that involved a $41 million jury verdict against a school for damages from an alleged insect-borne illness. The FHMBK’s amici brief was filed on behalf of The Association of Boarding Schools and the North American Montessori Teachers’ Association, arguing that the judgment against the school violated public policy because it could have the effect of curtailing routine outdoor activities for children around the country. The Second Circuit agreed that the case raises substantial public policy issues and, consequently, has submitted the case to the Connecticut Supreme Court, requesting that the Supreme Court resolve the certain issues of law. FHMBK’s amici brief is available here. THOMAS P. BRANDT, STEHPEN D. HENNINGER and JOSHUA SKINNER obtained a final victory on appeal for a local school district in a case arising from the discipline of a student for fighting. The student was assigned to in-school suspension for his involvement in the fight. The parents sued the school district to stop the school from enforcing its disciplinary decision. FHMBK obtained an initial victory before the trial when the district court agreed to grant the school district’s plea to the jurisdiction. The parents appealed and obtained an emergency stay of the discipline. On July 28, 2015 the Dallas Court of Appeals vacated its stay order and dismissed the parents’ appeal. The final victory for the school district is now complete. THOMAS P. BRANDT, JOSHUA SKINNER and LAURA O’LEARY obtained a victory for a Tarrant County school district in a disability discrimination suit brought in federal court by the parents of a disabled student. FHMBK moved to dismiss the case after discovering that the plaintiffs had failed to disclose information showing that the parents had lost the authority to bring suit on behalf of the student because a guardian of the estate had been previously appointed and because the parents were not responsible for the alleged medical costs they sought in the case. Incredibly, FHMBK obtained a final judgment in favor of client after a jury had returned a $1 million verdict against our client. The same district judge who presided over the trial refused to enter a judgment on the verdict, and instead issued a take nothing judgment in favor of our client. The plaintiffs are pursuing an appeal. THOMAS P. BRANDT and LAURA O’LEARY obtained a victory in a lawsuit alleging constitutional violations against a city in connection with the detainment of a citizen for mental health evaluation. The plaintiff brought claims against the city alleging that she had been subject to an unreasonable search and seizure of her person, false imprisonment, and excessive force by a police officer employed by the city. The plaintiff further alleged that the city maintained policies or customs that exhibited deliberate indifference to the Constitutional rights of the city’s residents and that the city had a policy or custom of inadequately training and supervising its police officers. The court dismissed all claims with prejudice and entered final judgment in favor of the city. THOMAS P. BRANDT and STEPHEN D. HENNINGER obtained dismissal of multiple defendants in a lawsuit alleging Title IX and Constitutional violations. Plaintiffs sued the school district and 13 individual employees following an alleged sexual assault of their daughter by other students at a party. Plaintiffs claimed that the district and employees failed to take adequate steps to protect their daughter from harassment and bullying at school, and to investigate the alleged assault and take action against the perpetrators. After the individual defendants filed motions to dismiss arguing that no valid causes of action had been asserted against them, the plaintiffs dismissed all of their claims against the individual defendants, with prejudice. Thomas P. Brandt, Francisco J. Valenzuela and John D. Husted successfully defended a north Texas school district in a lawsuit brought by a former vice-principal alleging that the school district violated the Texas Open Meetings Act when the district pursued an appeal of the vice-principal’s prior lawsuit without having conducted a school board vote on whether or not to appeal. FHMBK defeated the vice-principal’s motion for summary judgment while at the same time successfully arguing for summary judgment on the school district’s behalf. THOMAS P. BRANDT and JOHN D. HUSTED obtained a significant victory on behalf of a north Texas school district. A former student brought a Title IX claim against the school district, alleging that the district failed to protect him from student-on-student harassment based on gender and gender-stereotypes. FHMBK moved for summary judgment on behalf of the school district, and the Magistrate Judge issued a Report and Recommendation, recommending that the motion be granted and that the student’s claims be dismissed in their entirety. 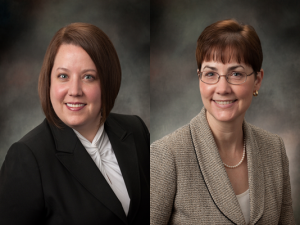 JOSHUA A. SKINNER and NICHOLE M. PLAGENS obtained dismissal of a lawsuit against a school district that had been filed by a former employee. Plaintiff filed suit alleging claims of race discrimination and retaliation under the Texas Labor Code. The school district filed a Motion to Dismiss for Want of Prosecution, and after a hearing on the motion, the Court dismissed the case with prejudice. On November 4, 2015, THOMAS P. BRANDT orally argued a case before the United States District Court of Appeals for the Fifth Circuit in New Orleans. The case was brought by parents of a disabled student who alleged that the school district had violated their son’s rights under both the ADA (American with Disabilities Act) and Section 504 of the Rehabilitation Act. Mr. Brandt, Mr. Joshua Skinner, and Ms. Laura O’Leary had obtained a final judgment before the United States District Court. The parents of the student are seeking to overturn the district court’s judgment. FHMBK would like to congratulate Don Martinson for his recognition in the 2016 edition of The Best Lawyers in America. This is Mr. Martinson’s third consecutive Best Lawyers selection. Selection is based upon nominations made by clients, other attorneys, and law firms, in addition to research by the Best Lawyers editorial team. FHMBK is pleased to announce that firm attorneys Don Martinson, Thomas Brandt, and Joshua Kutchin have once again earned selection to the 2015 Texas Super Lawyers listing. This is the seventh consecutive Super Lawyers selection for both Mr. Kutchin and Mr. Martinson and the sixth selection for Mr. Brandt. For additional information about this honor, please click here for the most recent media release. Joshua A. Skinner and Francisco J. Valenzuela again earned recognition as two of the state’s top young lawyers with selections to the 2015 Texas Rising Stars list. This is the sixth consecutive selection to the exclusive annual listing for both attorneys. For a second consecutive year, U.S. News and World Report recognized FHMBK as a “Tier One” law firm in the area of insurance law in North Texas. This designation is a tremendous honor reserved for a very select few law firms. We are extremely pleased by this recognition in the field of insurance law. THOMAS P. BRANDT made a presentation on the topic of students’ Free Speech issues at the Texas Association of School Board’s 2015 Fund Members’ Conference held in Austin March 29 – 31, 2015. 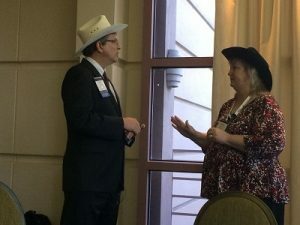 Pictured left to right, Tom Brandt and Debbie Bonner at the 2015 County Management & Risk Conference sponsored by Texas Association of Counties. THOMAS P. BRANDT spoke at the Texas Bar CLE 2015 Advanced Government Law Boot Camp and Annual Course held in Austin from July 22 – 24, 2015. Mr. Brandt spoke at the boot camp on July 22nd on the topic of Individual Immunity. THOMAS P. BRANDT also served as the moderator at the Texas Bar CLE 2015 Advanced Government Law Boot Camp and Annual Course on Friday, July 24th during a panel discussion on Disciplining and Defending Police Officers and Municipalities Post-Ferguson. FRANCISCO J. VALENZUELA spoke at the Texas Bar CLE 2015 Advanced Government Law Boot Camp and Annual Course on July 23rd providing attendees with an update on the Texas Whistleblower Act. JOSHUA SKINNER was featured on a podcast for the Federalist Society, speaking on the Supreme Court’s decision in Kingsley v. Hendrickson. Click here to listen to the podcast in its entirety. THOMAS P. BRANDT spoke at the Texas Municipal League Intergovernmental Risk Pool 25th Annual Attorney Workshop on August 21, 2015, in Austin on the topic of White, Brown, Black, and Blue: Disciplining and Defending Police Officers Post-Ferguson. FRANCISCO J. VALENZUELA spoke at the 2015 TASA/TASB Convention in Austin. Mr. Valenzuela presented an update on the Texas Whistleblower Act along with Valerie Carrillo, General Counsel for the Fort Worth Independent School District on Friday, October 2, 2015. NICHOLE M. PLAGENS spoke at the 2015 NBI Seminar on Texas Special Education Law in Dallas, Texas on December 8, 2015. Ms. Plagens presented on the Framework of Special Education Law and reporting on recent developments and case law in the area. 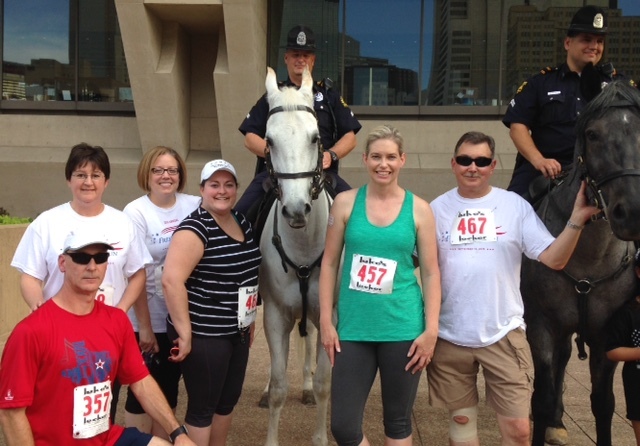 Attorneys and staff from FHMBK participated in the 15th Annual Freedom Run 5K & Bill Carollo One-Mile Walk, on September 10, 2015. The Freedom Run was first organized after the tragic events of September 11, 2001, and it is an opportunity to remember and honor first-responders who make sacrifices on a daily basis. The event is organized by the Dallas Association of Young Lawyers, and the proceeds go to The Assist the Officer Foundation. The Foundation provides financial assistance to officers who are facing the loss of income due to serious injury, life-threatening illness, or other catastrophic event, or to families who have lost first-responders in the line of duty.